When the calendar hits New Year's Eve and the beginning of a new year approaches, the anticipation and hope of starting fresh gets everyone excited. The same can be said for the start of a new NFL season. 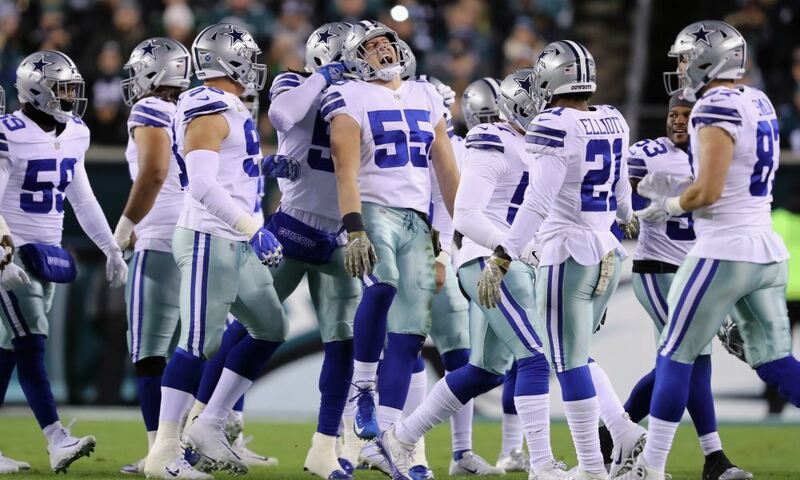 Sadly, though the hope of the 2018 Dallas Cowboys season has faded quickly after five weeks of the season. The hope that Dak Prescott could return to the player he was in his first 24 games is cratering with each poor performance and each Dallas Cowboys loss. I know we all want to look for the reasons why Dak Prescott and the offense is struggling. We point to the wide receivers, the offensive line, the quarterback, the play calling, the coaching, and to be honest, it's probably a bit of all of this. Dak Prescott definitely carries some of the blame for what has gone on with the Dallas Cowboys offense early this season. Looking at Pro Football Focus' Premium Stats, you can find stats that show that Dak Prescott has had time in the pocket. Here are Dak Prescott's NFL ranks in the following categories per Pro Football Focus. These numbers don't completely tell the story of Dak Prescott and the Dallas Cowboys, but we can certainly make some observations. I think the offensive line is giving Dak Prescott enough time to make plays. The offensive line hasn't been perfect, but they've also faced some really good pass rushers in the first five games of the season. He's been sacked 16 times through five games; an average of 3.2 sacks per game. That's the seventh highest number in the NFL. As you can see from the Pro Football Focus numbers above, Dak has been holding the ball nearly as long as anyone in the NFL. He's better when he gets rid of the ball in under 2.5 seconds. There's nearly a 40 point decrease in his passer rating when he holds the ball longer than 2.5 seconds. Sure he's been getting sacked more than he did in the first 24 games of his career and there are plays where the protection hasn't been great. So then the question becomes, is it the quarterback or the scheme. Dak Prescott just doesn't look like the same quarterback that he was in the first 24 games of his career. He doesn't look to be as confident or comfortable in the pocket despite having as much time as anyone in the NFL. The Cowboys coaching staff either hasn't gotten him in the right positions to do the things that make him comfortable, or Dak is broken. 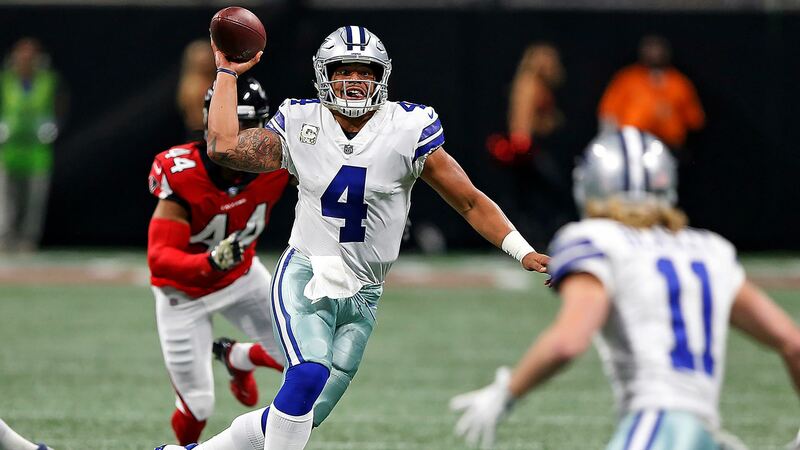 Over the last 13 games of his career -- since the Atlanta Falcons game -- Dak Prescott has thrown for an average of 189.8 yards per game, 0.8 touchdowns, one interception, while completing only 63% of passes, with a 76.8 passer rating. In the first 24 games of his career he averaged 228.5 passing yards, 1.6 touchdowns, 0.3 interceptions, completed 66 percent of his passes with a 102.4 passer rating, per Pro Football Reference. That's a drastic statistical difference. Toward the end of the 2017 NFL season, some joked that Chaz Green ruined Dak Prescott. Well, it doesn't look so funny now since Dak Prescott hasn't looked the same in the 13 games since the Atlanta game. In his rookie of the year season, as you can see above, he didn't have near the drop off in passer rating when he released the ball after 2.5 seconds. So, as he held the ball past that 2.5 second mark, he was still really good and really efficient, because he was still comfortable in the pocket. Dak Prescott just doesn't seem to be willing to let the ball fly like he was early in his career. He was making decisions quicker and getting the ball out of his hands faster. When under pressure in 2016, his passer rating was 75.8, which was ninth in the NFL that season. In 2018, he's down to 15th in the NFL with a passer rating under pressure of 68.5. How Can the Coaches Help Dak? There is a lot of time still to turn this around, but some things will have to change to make it happen. In particular, the offensive staff needs to adjust some things to put Dak Prescott in situations that work to his strengths. Such as running play action. Dak Prescott is one of the better quarterbacks in the NFL when running play action. As you can see from the above stat, Dak Prescott ranks seventh in the NFL when using play actions passes. When he doesn't run play action, his passer rating drops 56 points to 66.8 and sees a yards per attempt decrease of 3.6, per Pro Football Focus. Per Pro Football Focus, Dak Prescott ranks 8th in the NFL in percentage of play action drop backs at 26.2%. For comparison, Jared Goff and the Los Angeles Rams are using play action on 39.2% of his drop backs and Philadelphia Eagles' Quarterbacks Nick Foles and Carson Wentz both rank in the top seven of quarterbacks who use play action the most. You'd think that having the NFL's leading rusher would allow the Dallas Cowboys to run play action much more than they are and that they'd want to given their quarterback's skill in running play action. So if you're looking for a legitimate thing they can do on offense to help their struggling quarterback, they can run more play action. With Ezekiel Elliott in the backfield, they really could run play action at the same rate as the Los Angeles Rams. The only time it seems that Scott Linehan wants to run play action is when he's using it to set up a screen or to use Dak Prescott on a bootleg roll out. They can also help Prescott by getting the ball out of his hands faster by using more tunnel and bubble screens by using Tavon Austin more. He's by far their quickest and fastest player, so they need to figure out a way to use that speed and quickness to help Dak Prescott get the ball out of his hands faster. They could also use more bunch formations to get Tavon Austin and Cole Beasley better releases off the line of scrimmage to get them open quicker. 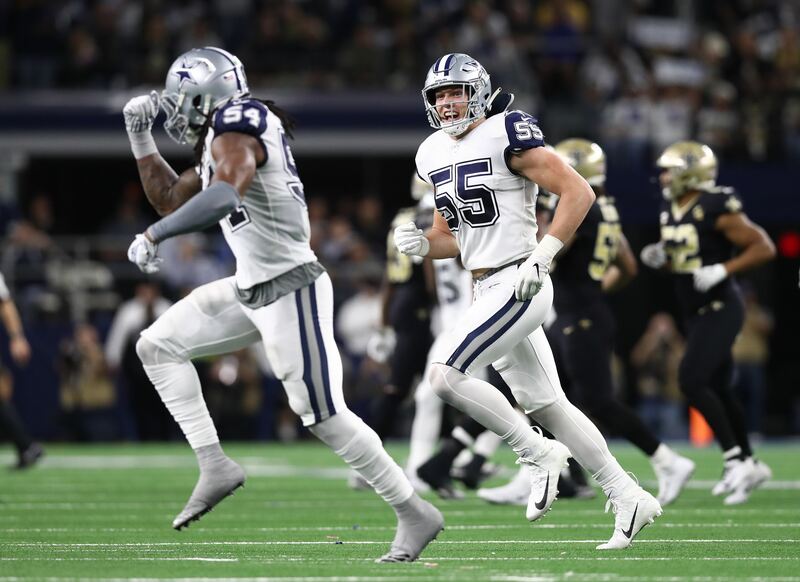 Opposing defenses would have a really difficult time containing both of these guys in the short area of the field because both Beasley and Austin have really good route running. 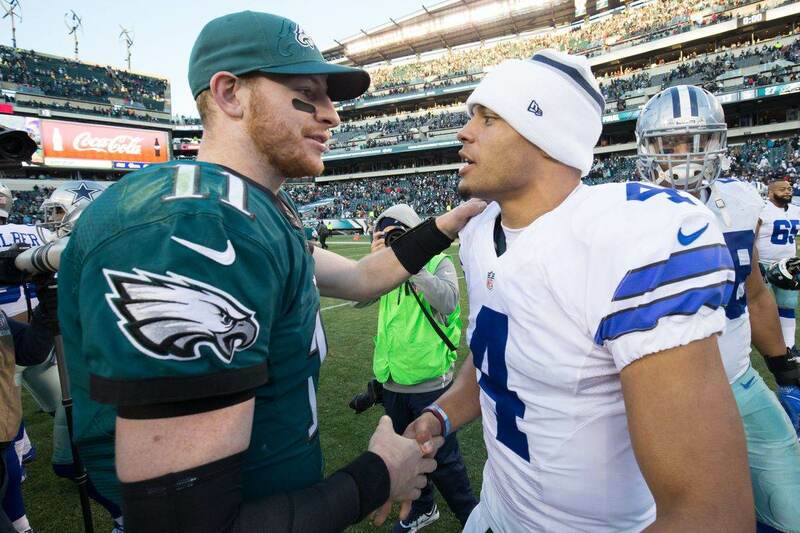 I know there are a lot of people that are bailing on Dak Prescott as a potential future quarterback, and I don't blame you. He hasn't been good for much of the last 13 games dating back to last season. The Dallas Cowboys coaching staff can help Dak Prescott get back into a groove and potentially save the 2018 season for the Dallas Cowboys. If they don't make any changes, we could see a 2019 with major changes to the offensive figure heads in Dak Prescott, Scott Linehan, and Jason Garrett. What do you think they should do to get Dak Prescott back on track?